16 October / An art exhibition „Vacuum as a Mindset“ will be opened on October 24 as a part of the program of the architectural lighting design and light art festival. The exhibition will take place simultaneously at Tartu Art House and Noorus Gallery. It will be opened at 5 PM at Tartu Art House and at 6 PM at Noorus Gallery. The string of openings of TAVA2018 will continue with the opening of a side program at 7 PM at Kogo Gallery - Kristi Kongi’s and Mari-Leen Kiipli’s duo exhibition „Secret Whistle in the Forest“. After the openings everyone is expected at the Widget Factory (Aparaaditehas), Hall of Love (Armastuse saal), where starting from 9 PM you can enjoy a live concert “...something drone and strange!! !” by Carl Michael von Hausswolff, the main artist of „Vacuum as a Mindset“. The main artist of the exhibition is Carl Michael von Hausswolff, the most famous artist-provocateur from Sweden, a composer from Stockholm, a visual artist and a curator, the monarch of a self-established kingdom Elgaland-Vargaland. The territory of the kingdom consists of non-places and no man’s land, a space between land and maritime borders as well as digital and mental space. The state has got its own anthem, flag, army, currency, citizens and cabinet. In 2002 Hausswolff along with ten other ministers of the kingdom tried to enter the Republic of Estonia, presenting the passports of Elgaland-Vargaland at the border. Estonian border control confiscated the passports, even though they were both official diplomatic documents as well as works of art. The scandal was drowned out. Hausswolff often uses light in his works. His most famous works include light installations such as the series „Red Empty“ or the performance „Torturing with Light“. He has been involved with the developments, phenomena and artists of psychedelic art of the 20th century such as William S. Burroughs, Brion Gysin, Genesis P-Orridge, Andrew McKenzie, and others. Hausswolff is connected to Tartu through keeping the archive of Friedrich Jürgenson, a world-famous scientist and discoverer of the phenomenon of electronic sound from Tartu. In addition, Estonian artists Liisa Hirsch, Tammo Sumera, Kristel Saan, Johannes Luik, Aivar Tõnso and Artist Unknown with unknown background will participate at the exhibition. 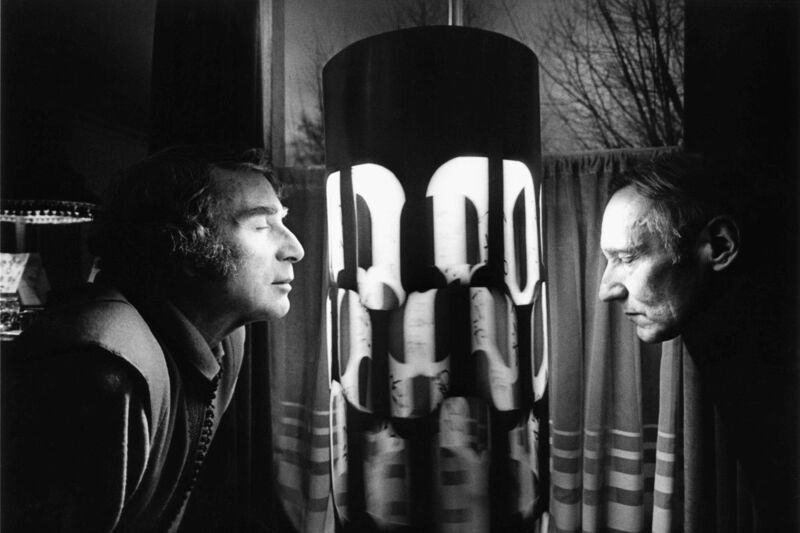 As a special project of the exhibition, Dreamachine, invented in 1959 by Brion Gysin and William Burroghs will be presented for the first time in Estonia at Tartu Art House. The legendary invention that provokes hallucinations was popularized by Psychic TV and it has been called the first work of art to be observed with eyes shut. The exhibitions will be opened at Noorus Gallery until November 10, at Tartu Art House until November 18 and Kogo Gallery until December 9. NB! A special bus will be taking people from Tallinn to the opening of the exhibitions and the concert. The bus leaves from the centre of Tallinn on October24 at 2.15 PM and heads back to the capital at 10.30 PM. The cost for the round trip is 10 Euros. To get a seat on the bus, please register at buss@kogogallery.ee before October 20. TAVA or Tartu in Light is a consistent, international, cross-disciplinary festival of architectural lighting design light art. The pre- and main events of the festival will last for 30 days.The festival is organized by NGO Valgusklubi in collaboration with Tartu City Government. Altogether over 30 professional lighting designers and light artist and nearly 200 conference and workshop attendants across the globe will visit Tartu. The Light Road in Tartu Old-Town will be open for public for the entire weekend of Oct. 25.-28.